From giving you a big boost in self-confidence to a reduced chance of developing oral and general health problems, a perfect, healthy smile is something that can change a life for the better. But if you’re one of the many adults that feels that your chance to get that perfect smile has past, your orthodontic experts here at Lindsey Orthodontics are here to let you know that it’s never too late. 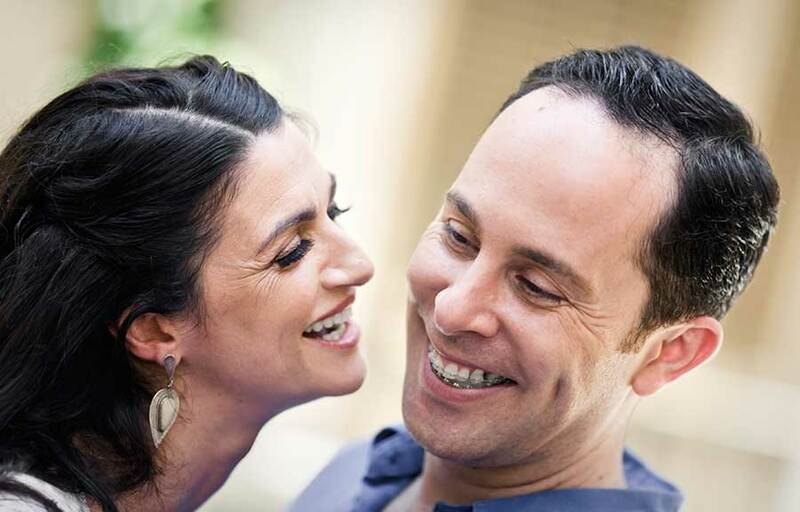 Adult orthodontic treatment can give you the smile you’ve always wanted. With a variety of treatment options to choose from such as clear braces or Invisalign, how you get that new smile is up to you. Dr. Lindsey and his team in Griffin and Locust Grove offices are here to help. Healthy teeth can be moved at any age. However, getting orthodontic treatment, such as braces, when you’re younger takes advantage of the rapid, natural development of the teeth and jaw that is also developing. As an adult, the growth of your jaw and teeth are complete. This means that misalignments in the jaw structure are more difficult and take more time to correct with an orthodontic appliance. But that doesn’t mean it’s not possible with orthodontic treatments like adult braces. Adults are also more likely to have some form of gum disease, which can further complicate or prevent you from getting orthodontic treatment right away. This is because braces and Invisalign apply a small amount of pressure to your teeth to move them, adjusting where they are anchored in your supporting jaw bone and tissue. Healthy gums are a very important part of this process. Gum disease can lead to bone loss in your jaw over the course of orthodontic treatment, weaken the foundation for your teeth and put the health of your smile at risk for the long-term. If you do suffer from gum disease, it’s recommended that you first seek treatment to improve the health of your gums before beginning orthodontic treatment. Additionally, regular dental cleanings with your preferred dentist combined with a comprehensive oral hygiene routine at home is necessary to ensure that you maintain optimal oral health during your treatment. 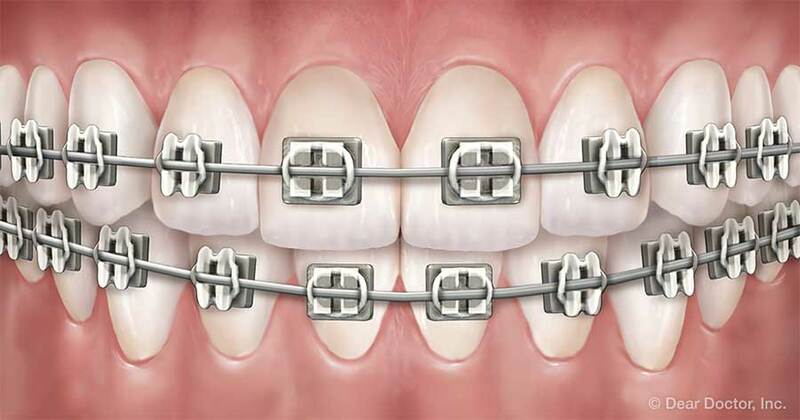 Modern Metal Braces — With advances in orthodontic technology, metal braces are smaller and more comfortable than ever before. 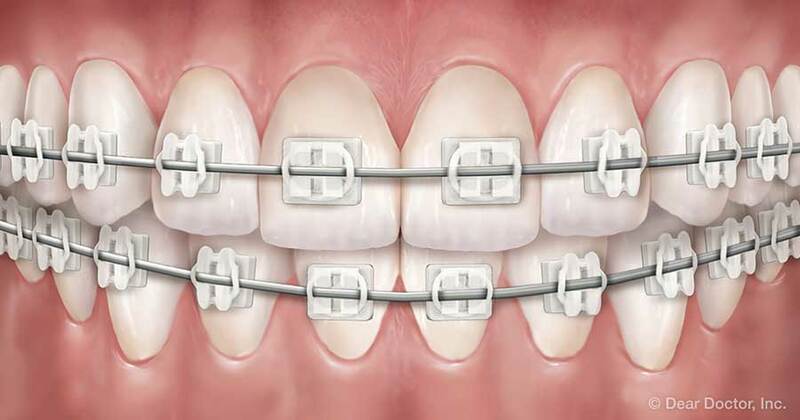 Consisting of metal brackets bonded to the teeth and connected by a thin wire, these braces are not only reliable for creating a great smile, but are also the lowest cost among treatment options available. Clear Braces — the metal brackets for these braces are replaced with ones made of a clear ceramic, plastic, or composite material. While the brackets on these braces are less durable than their metal counterparts, they do provide a more subtle appearance as the brackets will blend in with the natural coloration of your teeth. Invisalign Clear Aligners — If you prefer to not have brackets and wires attached to your teeth in the form of braces, clear aligners are the perfect alternative. Invisalign treatment uses a series of trays made from a durable, clear plastic that is designed to fit comfortably over the teeth. 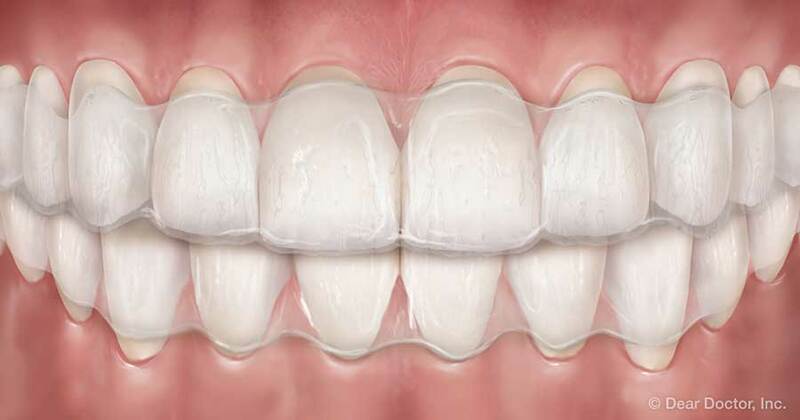 Invisalign trays apply small amounts of pressure just like braces to achieve your new smile. The Invisalign aligners are removable, easy to clean, and are practically invisible when worn. After you get your braces off or finish with your last set of Invisalign aligners, our orthodontist at Lindsey Orthodontics want to make sure that new smile of yours lasts for a lifetime. That’s why we have the second phase of your orthodontic treatment: retention. Right after you get your braces off, your teeth need time to settle and anchor themselves to the jawbone in their new position. Before that happens, they will start to shift back to their original position from before your braces or aligners. To prevent this from happening, our orthodontist will have you wear a retainer that is designed to keep your teeth in place. There are different types of retainers available, and Dr. Lindsey will work with you to determine which one is best for you. After you complete the process of wearing braces or Invisalign, Dr. Lindsey and his staff are determined to help you keep your perfect smile. Start Working Towards Your New Smile Today! If you’re ready to get the smile that you’ve always dreamed of with braces or Invisalign, contact us at Lindsey Orthodontics to schedule your free consultation. With our local orthodontic offices in Griffin and Locust Grove, your new smile is always in reach. If you have any questions about our adult orthodontic treatment or the treatments that we offer, just reach out to us to connect with one of our knowledgeable staff members who will provide you with all the answers you need. We look forward to transforming your smile so you can feel more confident and healthy for years to come!